While the Edmonton Oilers dream of competing for a Stanley Cup was dashed many months ago, there is still an Edmonton team that is still going and making a run at the Cup. Although in this case it’s the Mastercard Memorial Cup and its the Edmonton Oil Kings of the Western Hockey League. It is already an impressive accomplishment for a team to achieve so much so fast. While the Edmonton Oil Kings have been around the WHL for some time, they were in existence from 1950-1976 and again in 1978-79 before eventually relocating. This version of the Oil Kings came into existence in 2007-08 and are owned by Darryl Katz, who also owns the Oilers. They have had many ups and downs in their first five seasons, but have enjoyed some success as a fledgling franchise and have made the playoffs in 3 of the last 4 seasons, culminating with this year’s first place finish and subsequent run to the Memorial Cup. The Oil Kings finished the regular season as not only the WHL top team, but the top team in all of Canadian junior hockey with 107 points. They didn’t stop their roll there making their way through the WHL playoffs en route to their first Mastercard Memorial Cup trip. They’ve cut a wide path through the playoffs with relative ease getting by the Kootenay Ice, the Brandon Wheat Kings and Moose Jaw Warriors, with the exception of the WHL final where they won a hard fought 7 game series with the Portland Winterhawks, which is being called one of the best WHL finals of all time. They withstood one of junior hockey’s best offences and while leading scorers Sven Bartschi and Ty Rattie of the ‘Hawks weren’t held off the scoresheet, they were out dueled by the balanced attack of Edmonton led by Michael St. Croix. 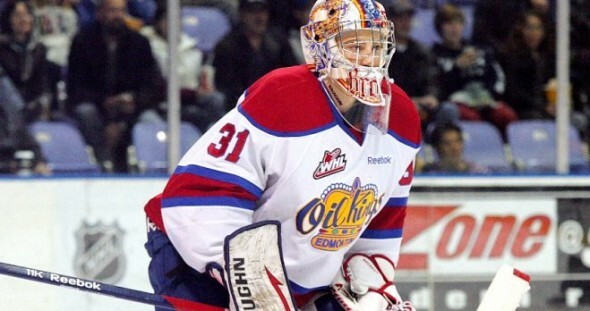 Such success will not be easily had at the Memorial Cup in Shawinigan, however, as the Oil Kings will not be the favourites going into the tournament. That title will be held by the Saint John Sea Dogs of the QMJHL, the defending champion of last year’s tournament. While both Edmonton and London (OHL) are the best teams both in the regular season as well as playoffs in their respective leagues, the Sea Dogs are still seen by most as the favourite to repeat. Many see this year’s version of their team as an even better squad then the one that was victorious last year. The Oil Kings were used to team’s getting up to play them each night in the WHL, playing with a bulls eye on their back as the league’s best team, but they will have a different role this time, with most eyes on the Sea Dogs and their juggernaut offence. While Saint John may be the biggest threat, with a very powerful offence led by Jonathan Huberdeau and Charlie Coyle and rock steady goaltending of Mathieu Corbeil, the other two opponents are no slouches either. The London Knights, guided by the Hunter family, were the top team in the OHL and also boast a very deep and balanced attack with seven players hitting the 20 goal mark in the regular season. They also have OHL goaltender of the year Michael Houser between the pipes and a solid defence corps in front of him. The host team Shawinigan Cataractes, might be the dark horse of the group and while they had a disappointing playoff exit they have plenty of talent and the hometown advantage to lean on. They have a strong D group that they strengthened at the trade deadline, acquiring Morgan Ellis and Brandon Gormley, arguably the best defenceman in junior hockey. The calling card for the Edmonton Oil Kings is strong defence, and total team defence. While they may not have the flash or notoriety of the other teams in the tournament, they are seen as the stingiest and most defensive minded of the four teams. With a tournament format such as this, where none of the teams have seen each other, save for Saint John and Shawinigan, playing a solid defensive style could be the key to success. Calling them a defence first team, does not mean they are a defence only team. The biggest strength they have is a team that is full of two way talents. For that you have to look no further than their group of defencemen led by captain Mark Pysyk, the reigning Player of the Week in the WHL. 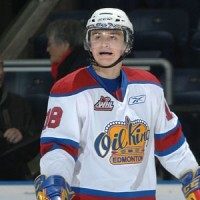 The 20 year old epitomizes what the Edmonton oil Kings are all about. He has been with the team in all but one of their seasons in existence. He is the first ever WHL Bantam draft player (3rd overall 2007) for the reincarnated franchise and their first ever 1st round NHL draft pick (Buffalo, 23rd overall, 2010). He is a steady,smooth skating, intelligent player who shuts down the opponents top players, but can also provide offence, evidenced by his game winner vs Portland. He also brings an important element of leadership for a young team. They also have two youngsters by comparison who play crucial roles on the backend, in the 6’5 Martin Gernat and 6’4, 18 year old Griffin Reinhart. Gernat has put up impressive numbers with 55 points in the regular season and a +41. He’s followed that up with 13 points and a +8 in the WHL playoffs. The draft eligible Reinhart, son of former NHLer Paul, plays a very poised game for such a young player and leads the team, and league, with a +14 in the WHL playoffs. The Oil Kings have 10 of the top 20 plus/minus players in the WHL playoffs including leading scorers Michael St. Croix and Curtis Lazar. It is a trend they have had all year as they had 8 members in the top 20 during the regular season as well, led by Gernat’s +41. St. Croix, who was a 105 point man in the regular season was also an impressive +40. “Even our goal-scoring lines are very good in the defensive zone and very responsible,” says Pysyk. The final, and possibly most important piece, is goaltender Laurent Brossoit. He was very good in the regular season but has been excellent in the playoffs. 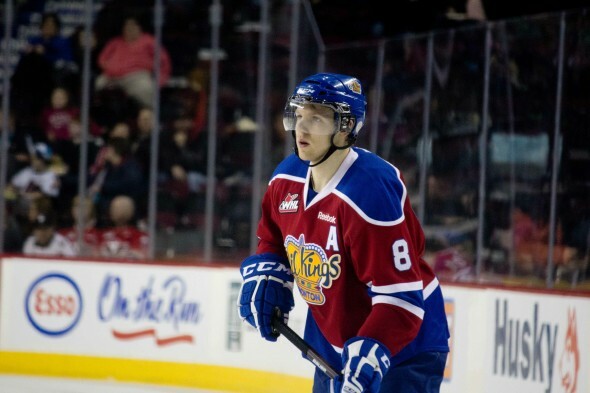 The Calgary Flames draft pick is big, poised and athletic and has been the backbone of the Oil Kings all year round. He has been among the league leaders in the regular season and tops most categories through the playoffs. For Edmonton to make some noise at the Memorial Cup, Brossoit will have to be a major factor. There of course will have to be a lot of things go right for the Oil Kings to emerge as the victors in Shawinigan, but in a short tournament such as the Mastercard Memorial Cup anything is possible and all four teams start with a clean slate come May 18. With a tournament that is being viewed as one of the deepest in year’s in terms of junior talent and NHL prospects it’s going to be a great one to watch.